The Flexographic Division is pleased to present a complete product portfolio of nyloflex printing plates, plate processing equipment and rotec sleeves and adapters for narrow web printing. Live demonstrations will be taking place on the Flint Group stand (#728, Hall A). 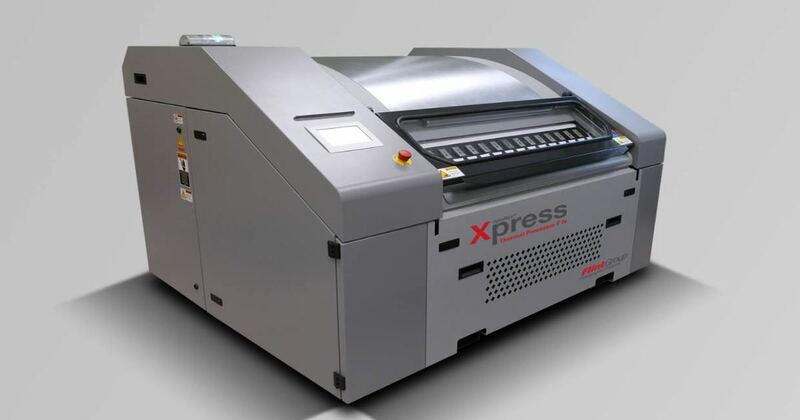 nyloflex Xpress Thermal Processor equipment will be on the show floor exhibiting “Thermal like you’ve never seen before,” with unprecedented control and more consistent and stable plate production provided by this novel equipment. At the heart of the system lies the new nyloflex XVH Digital plate, a versatile, hard durometer plate with an inherently flat top surface, perfect for narrow web print applications on all types of printing substrates. This thermally processed printing plate can be used as-is or further tailored with the use of surface screening to provide extraordinary detail that rivals the quality of solvent processed plates. rotec ECO Bridge is a unique, state-of-the-art adapter for use on flexographic printing presses and plate-mounting equipment, and will be demonstrated at the show. This must-see special adapter with a breathable metal ring creates an air pillow around the entire circumference of the adapter to allow for easy and fast mounting of sleeves. The innovative design uses 90 per cent less volume of compressed air, resulting in significant noise reduction and cost savings.